Have you ever wanted to fly a plane yourself, but lacked the money or ability to do so? Are you a real pilot looking to improve your skills without having to take off? Do you want to try some dangerous maneuvers without risking your life? Or do you just want to have fun with a more serious game without any violence? 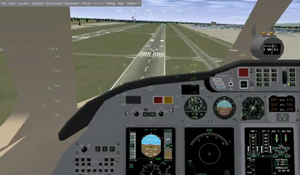 If any of these questions apply to you, this flight simulator is perfect for you. 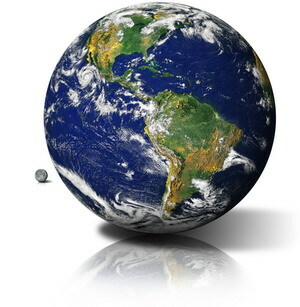 The correct time is read from the system clock, and is used to work out what is happening right now around the world. Correctly placed sun, moon, stars, and planets for the specified time and date. 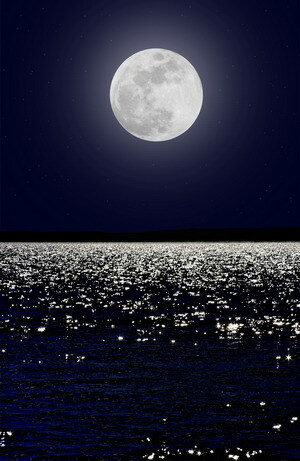 The sun, moon, stars, and planets all follow their correct courses through the sky. This modeling also correctly takes into account seasonal effects so you have 24 hour days north of the arctic circle in the summer, etc. We also illuminate the correctly placed moon with the correctly placed sun to get the correct phase of the moon for the current time/date, just like in real life. While joysticks or yokes are supported as are rudder pedals, you can fly using the keyboard alone. Could you imagine a pilot in a Cessna controlling the machine with a keyboard alone? For getting the proper feeling of flight you will need a joystick/yoke plus rudder pedals, right? There is integrated joystick support, which automatically detects any joystick, yoke, or pedals attached. Change the settings or see what is connected easily by selecting Help -> Joystick Information from the in-game menu. 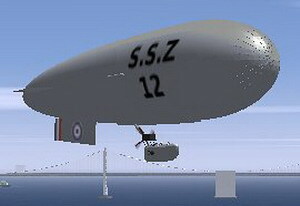 The base install package contains scenery for a small area around San Francisco. But, as the entire world is available at a high level of detail, you will almost certainly wish to install extra scenery at some point. 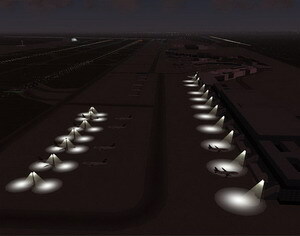 Night lighting with ground lighting concentrated in urban areas (based on real maps) and headlights visible on major highways. The scenery set is available as a separate purchase to members only. All the scenery is provided in easy self installation packs that have 10 degree by 10 degree chunks. 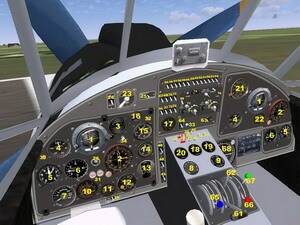 In principle everything that applies to real helicopters,applies in this simulator. Some details are simplified, in particular the engine handling and some over-stresses are not simulated or are without any consequence. Realistically models real world instrument behavior. Instrument and system failures are also accurately recreated. If the vacuum system fails, the HSI gyros spin down slowly with a corresponding degradation in response as well as a slowly increasing bias/error. There is currently support for Aircraft Carrier operations on the Nimitz, (located near San Francisco) and Eisenhower. Learn how to take off, locate and land back on the carrier. Carrier landings are often described as “controlled crashes” and you shouldn't waste your time attempting to flare and place the aircraft gently on the deck like you would with a conventional landing - ensuring that you catch the wires is the main thing. If you wish, you can then raise the elevators from the ATC/AI menu, taxi onto one of the elevators, lower it (uncheck the box on the menu) and taxi off into the hangar. If after a little practice you find the Seahawk too easy, you could move on to the Seafire for more of a challenge! This simulator allows you to connect multiple instances of the program together to display different views of the simulation though a highly flexible I/O subsystem. For example, you may want to have the aircraft panel displayed on a screen right in front of you, while the view forward is displayed on a separate screen or using a projector. Using multiple displays can vastly improve the realism of the simulation. Given enough hardware, you can create sophisticated simulation environments with mock-up cockpits, panels, multiple views, and even a separate control station allowing an instructor to fail instruments, change the weather etc. An example of this is the 747 cockpit project. 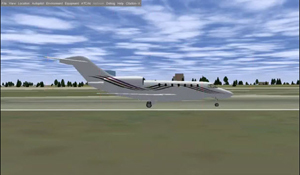 When flying one of these aircraft in the default scenery area, one can locate the tanker aircraft using air-air TACAN and/or radar and then receive a full or partial load of fuel by flying in close formation behind the tanker. Refueling is also possible between aircraft in a MultiPlayer session. The KC135 is a boom refueller, while the KA6 has a hose. The A4F and Lightning are both fitted with a probe for hose refueling while the T38 is fitted with a boom receiver. You still are the pilot aboard and have to keep aware of everything. Be prepared to shut the autopilot down as they often go wrong, both in real life, and in the simulator. Light Dynamics Models (FDM's) so realistic that they can be used for aerodynamics research and modeling. 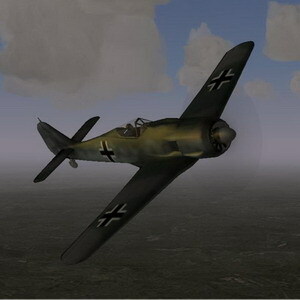 Anyone with the right tools can create scenery, objects and aircraft to use with this simulator. You can connect to a server and fly with other pilots. You can also connect two or more computers running this simulator and use their displays to expand your viewing area... imagine flying with a full, 360 degree view!